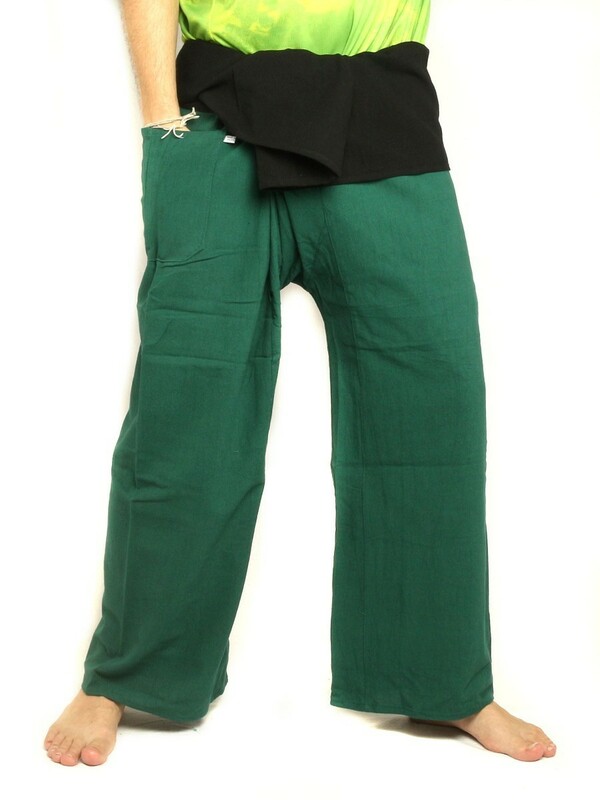 &#9989; Fairtrade Thai fisherman wrap pants, two tone 100% high qualitiy 14 oz. 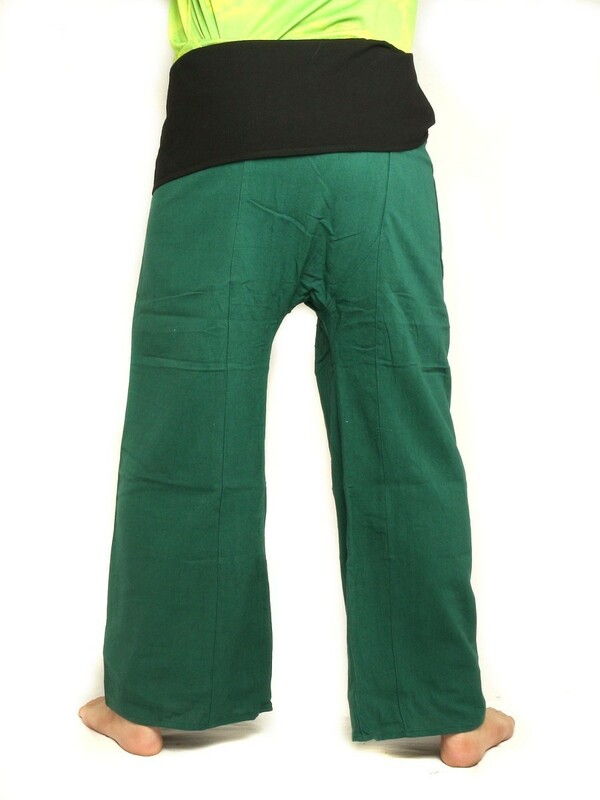 Thick cotton with one side pocket handmade by. Care instructions:Wash separately and in cold water first to avoid shrinkage and bleaching after that machine wash delicate cycle or hand wash and hang dry.Attention: Slight color variations are possible due to different screen settings.